After a rollercoaster year, the Mets 2016 season comes down to one game. As Met fans, it’s easy to complain that after 162 games it’s unfair to be put in this position, to face off with the best postseason pitcher of this generation in a 1-game series but after all the injuries the Mets had, this 87 win team should consider themselves lucky to be here. If this was still 5 years ago with just the 1 Wild Card, the Mets would be in this spot anyway with the Giants, who finished with the same record as New York. 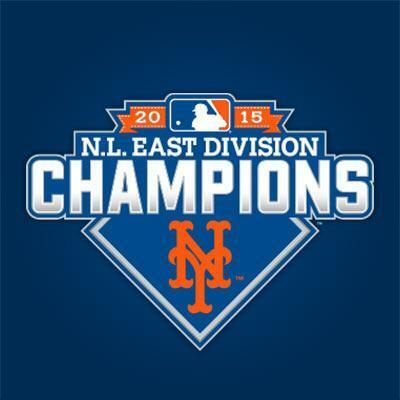 They would have just played a 1-game tiebreaker at Citi Field anyway. While this Met team has made an incredible run, the statistics are not on their side. Madison Bumgarner is coming off the best regular season of his career in terms of ERA (2.74), innings pitched (226.2) and strikeouts (251). The Mets also badly struggle against lefties and that has gotten worse since Wilmer Flores slid head first into a catcher and was lost for the season. Flores had 11 homers against left-handers this season, the most by any Met. With that said the Giants are not unbeatable. Other than a huge confidence boost to the San Francisco club, even-year magic is not a thing. If the Mets do the following things, they will be in Chicago on Friday. This one seems fairly obvious but the Mets chances to advance would spike dramatically if Bumgarner doesn’t go long tonight. Bumgarner averaged just 15.8 pitches per inning in the regular season which would give him at least 7 innings tonight. That isn’t going to get it done for the Mets. Not only is Bumgarner efficient but he works deep in games. No National League pitcher averaged more pitches per game than the Giants ace (105 per game). Bumgarner throws a ton of strikes and the Mets are going to have to work good at-bats. The at-bats that end in 7 or 8 pitch outs will be considered small victories tonight for New York. Keep in mind that the Giants will have two starters waiting in the pen should Mad Bum not give San Francisco the length they need or if this game goes extras like the American League Wild Card game did. While Johnny Cueto and Jeff Samardzija are no slouches, I would rather take my chances with them over a guy with a 0.25 ERA in 36 World Series innings and a 5-0 record with a 1.80 ERA against the Mets. While it’s not going to be easy to square up Bumgarner, he has been susceptible to the long ball this season. Bumgarner gave up 26 homers this year, a career high. When the Mets don’t homer they flat out don’t win a lot of ball games. 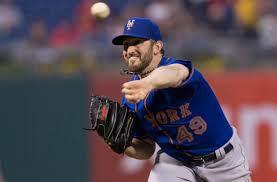 It’s crucial that the Mets flex their muscles tonight whether against Bumgarner or the Giants bullpen. Both Jay Bruce and Rene Rivera have a home run against Bumgarner in limited at-bats. The Mets are going to need Yoenis Cespedes, who left the regular season in his biggest slump since becoming a Met, to wake up. Bumgarner doesn’t walk many so it’s unlikely he’ll pitch around Cespedes tonight. It seems pretty obvious to the baseball world now that Noah Syndergaard can’t hold baserunners. The number of stolen bases he allowed led baseball by a wide margin. It looked like for most of the regular season if a player on first or second felt like padding his stolen base stats he could at any point in the game without contest. While Rene Rivera becoming the starting catcher has helped calm things down, Syndergaard and Rivera are still going to have to deal with that tonight. The Mets catch a huge break as Eduardo Nunez (hamstring), one of the Giants biggest stolen base threats, is not on the Wild Card roster. Syndergaard doesn’t have much of a pickoff move, allowing runners to get huge leads so he must change his times to the plate by holding the ball different amounts of times before going home. Or he can simply get everyone out tonight and not let the running game influence this critical matchup. Jeurys Familia has had an incredible season, a year where he eclipsed the Mets save record by a wide margin but there was a better closer in the American League this year by the name Zach Britton. Britton was perfect in save chances on the year and watched his team’s season end from the bullpen. Now not using Familia or even Addison Reed has never been a Terry Collins issue but it is imperative that should the Mets have a lead in the 7th he skip the middle men and get the ball to Reed and Familia once Syndergaard’s day is done. The Mets may need the two dominant relievers to get 9 outs tonight. If the Mets get Bumgarner’s pitch count up, hit a homer or two, limit the Giants running game and Terry Collins doesn’t do anything head scratching, the Mets will be set to face the 103-win Cubs Friday night. The Giants have a ton of experience in games like this but the experience that Noah and the team received in Game 5 of NLDS on the road last year should help prepare them for the pressure that come with surviving an elimination game tonight.